Isaiah 43-1: But now thus says the Lord, he who created you, O Jacob, he who formed you, O Israel: “Fear not, for I have redeemed you; I have called you by name, you are mine. 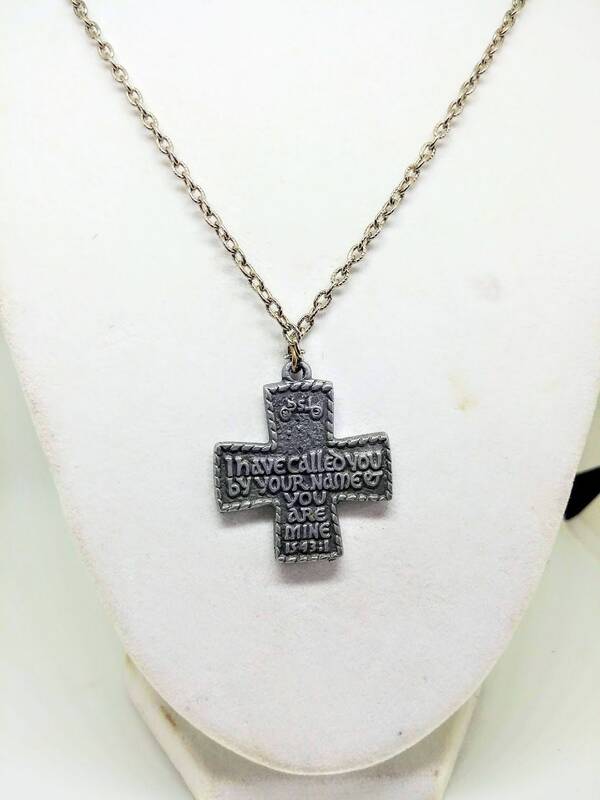 The back of this cross says: I have called you by name, you are mine. The front of the cross is a J.